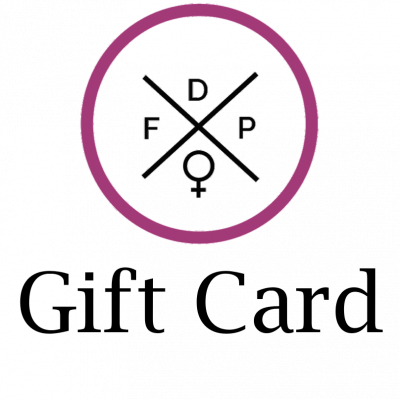 4.2 amps, the legal maximum for total knockdown power! The Guard Dog Katana presents a premier self defense and survival option, one never before seen on the market. 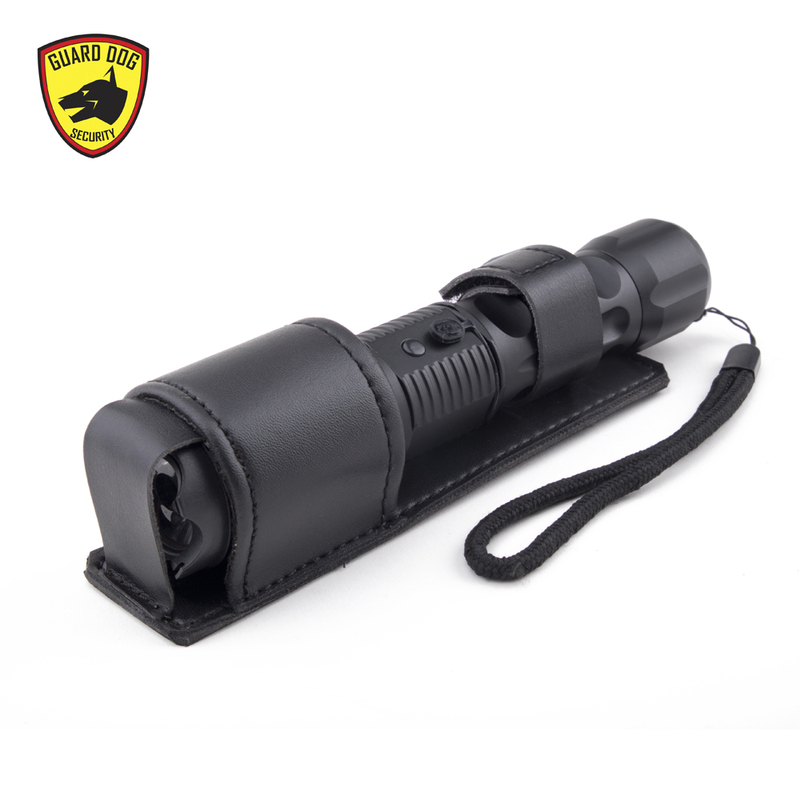 For the first time ever, a tactical flashlight and concealed stun gun with a steel-point tail cap for self defense or glass breaking. 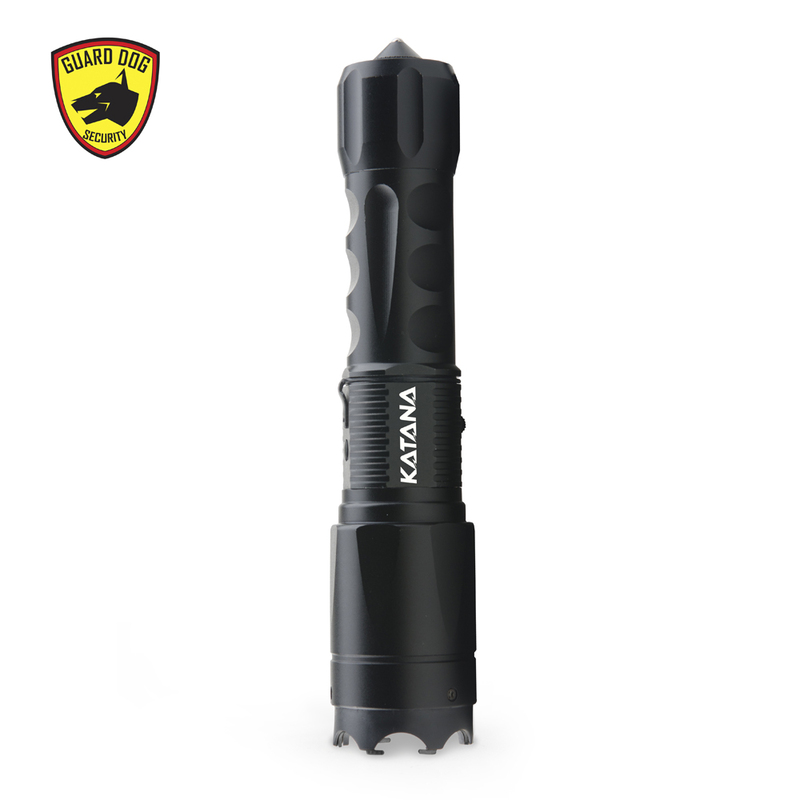 Made with aircraft grade aluminum, the Katana is durable and shatterproof to withstand high pressure situations. 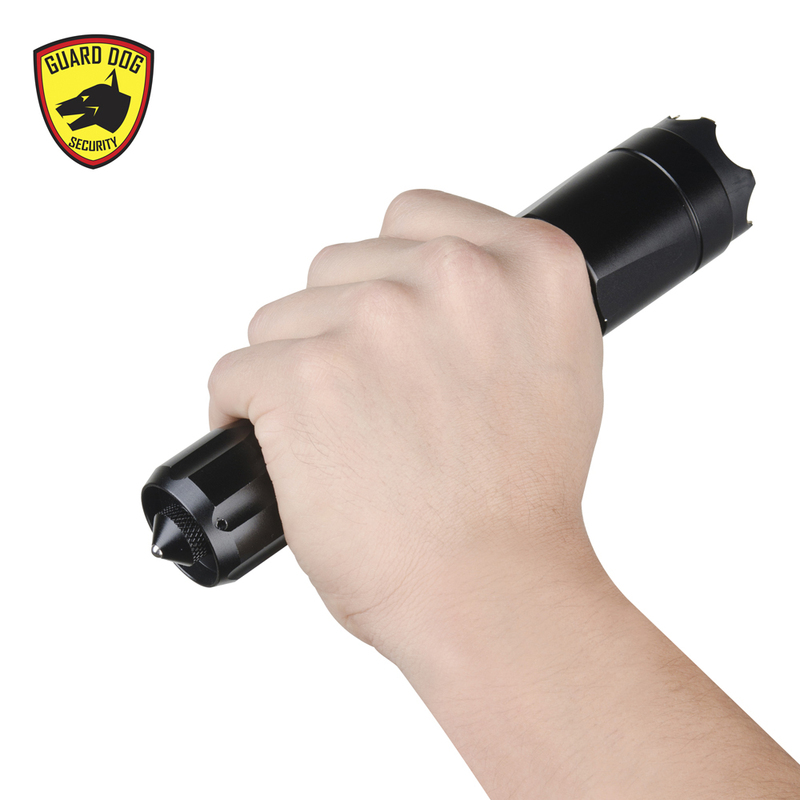 With a contoured hand grip, you can use the device with the comfort you desire. 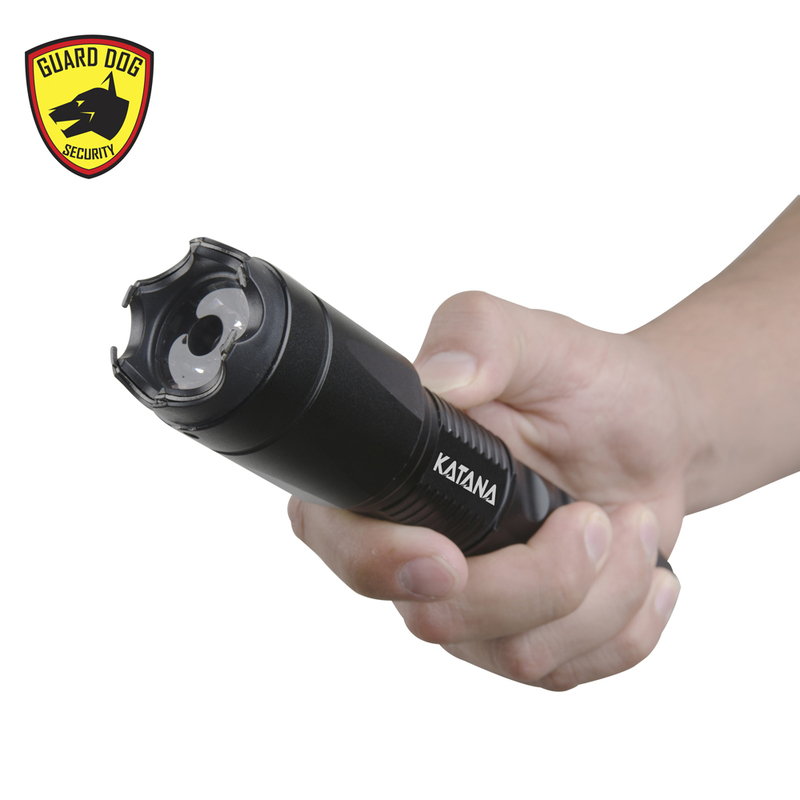 All with a swift one-hand operation, the Guard Dog Katana shines 400 lumens of light, visible up to almost 400 yards! 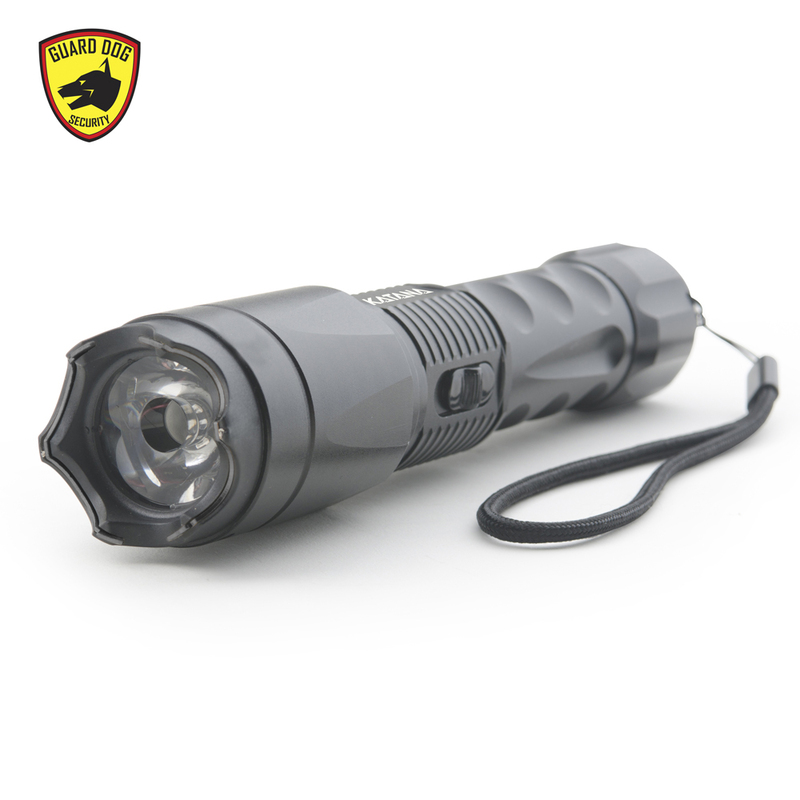 Whether for your daily use or self defense purposes, this handy light provides the essential options for your everyday carry. 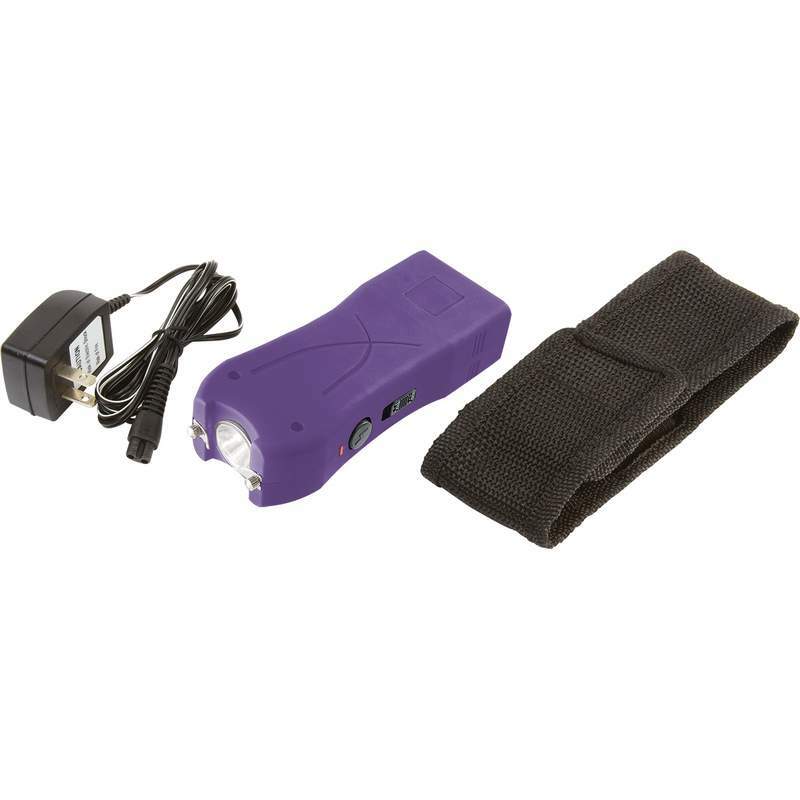 Hidden within the front bezel is a concealed stun gun, capable of incapacitating an assailant. 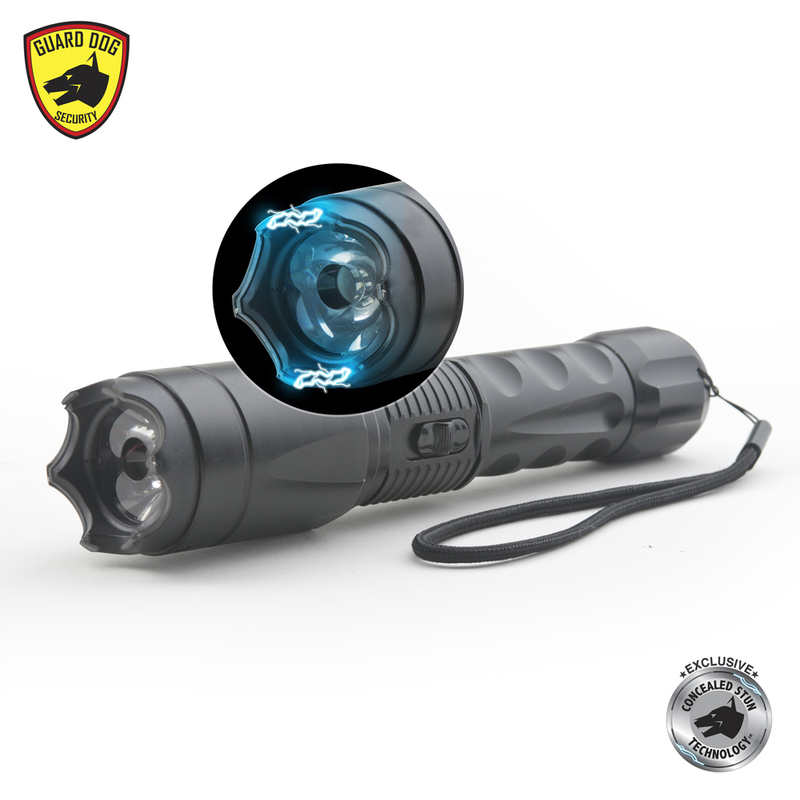 With Guard Dog’s Concealed Inner Stun Technology ™, there are no visible prongs. Need to recharge? 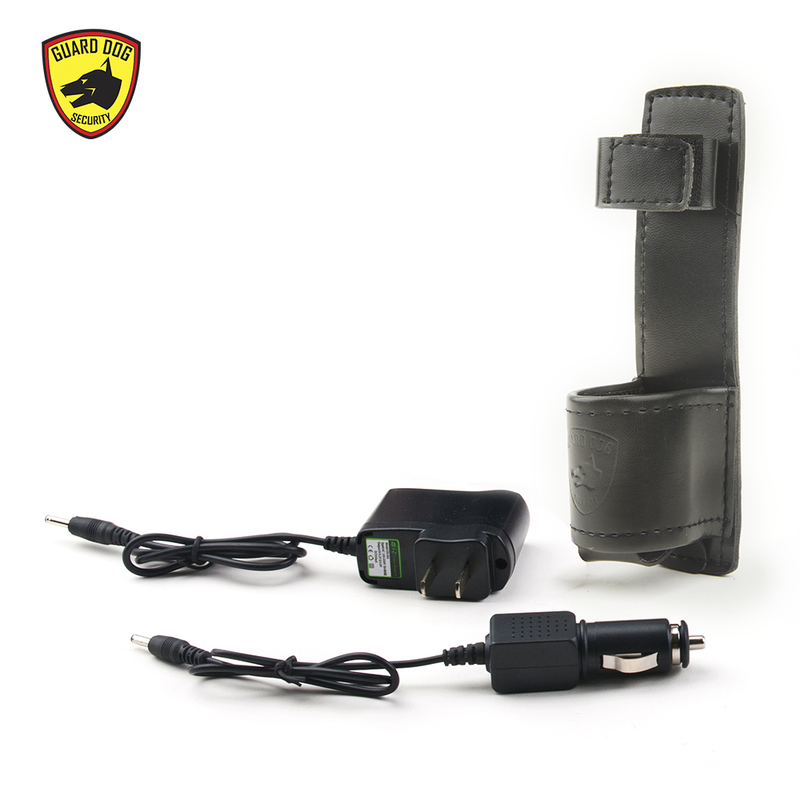 The Katana can be charged at home or in the car, with dual charging capabilities.